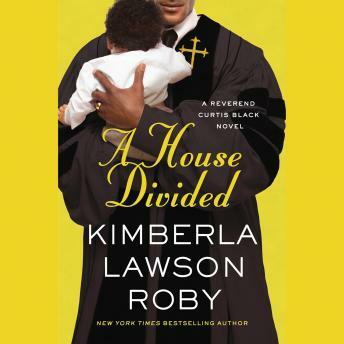 Life is close to perfect for the Reverend Curtis Black and his wife, Charlotte--except their son Matthew and his girlfriend, Racquel, are about to become parents at the tender age of eighteen. Even though Curtis and Charlotte wish Matthew could focus on Harvard instead of fatherhood, they are determined to welcome their new grandson with open arms. But for Charlotte, welcoming her future in-laws is another story. Try as she might, Charlotte can't stand Racquel's mother, Vanessa--and the feeling appears to be mutual. When the tension between Charlotte and Vanessa finally erupts, the stress sends an already-fragile Racquel into early labor. Everyone is quick to blame Charlotte, including Matthew and Curtis. That her own husband would side with someone else infuriates Charlotte and strains the relationship they've only recently been able to repair. Her one ally is Racquel's father, but that brings problems of its own. While Charlotte schemes against Vanessa, Curtis is consumed with his own concerns about Deliverance Outreach. A mysterious figure from his past has been sending Curtis cryptic messages threatening to take away Curtis's coveted position as senior pastor and destroy everything he has worked so hard for. But who could hate Curtis that much? And how can he fight an enemy he can't even name?